Brooks was a hot running brand in the 1970s and ’80s, but it also tried to be a full-on athletic company selling cleats, high-tops and a wide range of apparel. The firm’s endorsement roster included football’s Dan Marino, James Worthy of the NBA and tennis legend Jimmy Connors. “We used to play the game that Nike has perfected and we were not successful, ” says Brooks Sports CEO Jim Weber. Sales have more than doubled from $180 million in 2009 to $409 million last year. Weber expects sales to hit $500 million in 2013. Brooks’ U.S. market share in the performance run category this year is 11.8% behind only Nike (40%) and Asics (24.3%), according to research firm SportsOneSource. Elite runners are increasingly turning to Brooks. Weber says that more people were outfitted in Brooks sneakers than Nike at this year’s Boston Marathon. “We’re building a brand with runners and that is where we pay the most attention to, ” says Weber. The sneaker business is a $21 billion (retail) industry in the U.S. with running the biggest component at $6.7 billion. The market has expanded with the explosion of running races (running and trail), triathlons and obstacle races like Spartan Race and Tough Mudder. There were 23, 000 timed races in the U.S. last year and 19 million people ran at least twice a week. Participation in running has been on a steady climb for more than 15 years. Overall U.S. running shoe sales were flat in 2012 after a 6% gain in 2011. Sales at Brooks were up 34% each of the last two years. 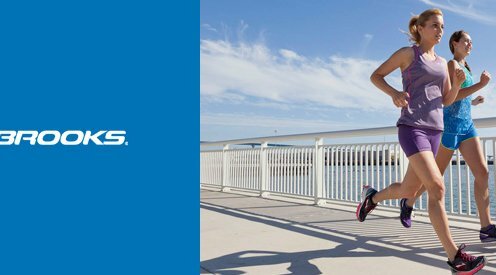 Brooks pours all of its R&D resources into creating a better running shoe. “We are creating a brand that doesn’t have to be cool with high school football players, ” says Weber taking a subtle shot at Nike and Under Armour .